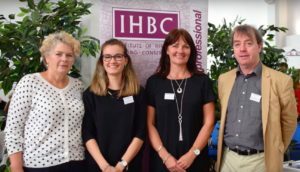 The Heritage Trust Network, successor to the UK Association of Preservation Trusts (UKAPT) – has launched reports and updates on its first conference on its event website, with presentations, film, photos and a warm thanks to sponsors that include the IHBC. IHBC Director Sean O’Reilly said: ‘This evolution of the Heritage Trust Network from the UK Association of Preservation Trusts – the UKAPT – recognises the huge role that Building Preservation Trusts can continue to play in the regeneration and management of our heritage in the 21st century. Their first conference made absolutely clear to all the capacity and the potential of the Network to deliver on these ambitions’. See speaker presentations and more….